The selection documentation is absolutely essential to have when applying for a government job. The job ad will tell you where you can get hold of the documentation, and the documentation should tell you important things like what the selection criteria are, if there is a duty statement/job description, what is expected of your application, if there is an application form that you have to fill in, where to find out more information about the position and who the contact officer is. Once you have read through the selection documentation, the next step is to give the contact officer a call. A lot of applicants feel awkward or embarrassed about ringing the contact officer listed on a job ad. But, successful applicants almost always have one thing in common - they rang the contact officer and had a chat about the position. Therefore, you should ALWAYS get in touch with the contact officer. Before calling the contact officer you should make a list of questions to ask, which will clarify any areas of uncertainty or concern about the position, or how to address your application. In some circumstances, it may be appropriate to visit the contact officer to see the working environment, and find out more about the organisation’s work and where the vacant position fits. While some people may not agree to show you around the work area, others will be delighted that you have asked and be keen to show you around and give you more information about the position, which of course is probably more than your competition (the other applicants) know and better for you in the long run. Who is the contact officer (the person you are talking to), and what is their role? Is it the supervisor of the position? The manager of the area? Someone doing a parallel position? The Human Resources area? Someone acting in the position? [If the position is vacant but the completion of the duties are critical, the manager may have placed someone temporarily in the position until it is filled. This person is called “acting”, and may already be at a similar level in the organisation, may be receiving extra pay for doing higher duties (often called higher duties, or additional responsibility pay), or may be a temporary worker, or on a contract]. Finding out who you are talking to will help you to frame your questions. For example, if you are talking to the supervisor of the position, it may be useful to ask what he/she is seeking in a new employee in this position. This additional information will help you to frame your application. However, if you are talking to an HR area, they will usually not be able to answer this question. If you are talking to someone in a parallel position, you will be able to ask them what the organisation is really like to work for, and what the management style of the direct supervisor is like, etc. What are the main day to day responsibilities of the position? The day to day duties may differ from the organisational responsibilities that are listed on the duty statement / job description, and getting a feel from the contact officer will give more insight into the actual position. Does the position have a title? Not all advertised positions are given an actual job title. They may have a job title, but it's just not advertised. For example, a position that is titled “Department of Defence, Defence Material Organisation, Land Systems Division, Projects, position number 123456” will also have a position title such as Project Officer, Project Manager, or Project Scheduler that will not be advertised. 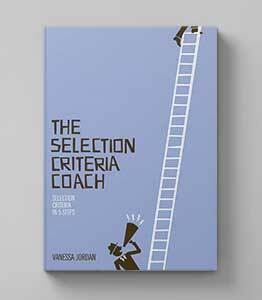 These titles can reflect very different positions, and this may not be clear from the selection criteria. If the position you're applying for does not have a specific job title, it's a good idea to find out. 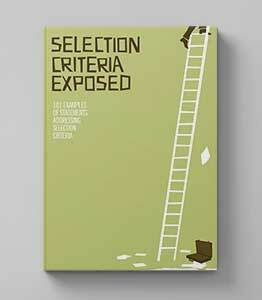 What is the composition of the selection panel? If you are shortlisted for an interview, it can be comforting to know if you will be facing high level management, the direct supervisor and /or fellow employees, and how many members there are. Also, knowing and remembering names in advance will help you stand out and appear more professional at the interview stage. This will not only allow you to potentially see how important the position is in the day to day functioning of the area, but how long the selection process is likely to take. If a position has been vacant for a long time, for example, the chances are that they will not be in a hurry to fill it. Is there someone acting in the role? they are doing it very well, and will be selected for the position. And vice versa, if you are acting in a role and are applying for that position through a merit process, do not assume that the position is yours. You never know who is out there that has superior skills and abilities to yourself. Clarify any elements of the selection criteria and duty statement / job description that you are uncertain about. And, if the statements are generic, ask how they apply to this particular position. E.g. if a selection criteria mentions communication skills, why are communication skill important in this role? Is the incumbent required to communicate with internal stakeholders only? Negotiate with contractors? Knowing what is important will help you choose relevant examples to include in your application. What is the structure of the organisation, and how many people are in the team? Is it a small team, large team or do they work as a team, or individuals? Does its working style fit with your preferred working style? Answers to this question can very from useless to extremely valuable. It may give insight into what personal qualities will be useful in the position, and it will help to identify issues with meeting selection criteria about teamwork, and workplace equity and diversity. A lower levelemployee who is acting as contact officer however, it may not be able to answer this question effectively. What are the key priorities for this position, or the work area in general for the next 12 months? This will give you information as to what skills are going to be useful in the mid-to- long term, and not just those that are listed in the selection documentation, and may give you the inside information that your competitors don’t have. Is the organisation going through any significant change, or is it likely to in the near future? This may have already been answered in he above question, but if not, it is good to clarify what changes may be happening to the position, and the work environment. If this is your dream job it is not good if there is about to be an organisational change and the duties of the position are going to change. Also, if there is a significant change coming and that does not worry you, it can be good to address your adaptability in your application, as this can be a big concern for hiring managers when bringing someone new into a changing environment. If conditions of service, professional development and organisational culture are important to you it may be appropriate to ask about the hours of work in the area of the position, the organisation’s approach to professional development and the current organisational culture. These questions are just a guide, and the list is by no means exhaustive, or essential. Only ask questions that are relevant to the job, or that you feel are important to you when making a decision about your future employment. As a general rule, your discussion with the contact officer should not be longer than about 10-15 minutes. When calling the contact officer, be sure to introduce yourself, ask if the time of calling is appropriate for a discussion about the position (and arrange a suitable time to call back if the contact officer is busy), speak clearly and professionally and have your list of questions in front of you. Remember, this is your first impression, and you want to make it a great one!